A Melbourne Sikh student has joined a Christian school that recently changed its uniform policy after losing a discrimination case over his right to wear a turban. "MCC regrets the difficulties that took place with respect to the enrolment and the Arora family is grateful to the school for the amendments it has made to the uniform policy in order to welcome Sidhak to the school". The Melton Christian College (MCC) has changed its uniform policy to enrol six-year-old Sidhak Singh Arora in the new academic year, after refusing his admission last year because he wore a patka, a head covering worn by Sikh children. UNITED SIKHS provided legal representation to Singh family with the support of a local law firm the Herbert Smith Freehills. 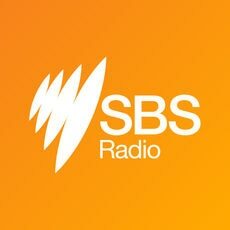 Mejindarpal Kaur, International Legal Director from UNITED SIKHS told SBS Punjabi that their organization is raising this issue in the interests of all religious minorities. “This case sets a precedent for religious freedom in Victorian schools, for students of all faiths,” she said. “We couldn't be more pleased with the outcome and happy for Sidhak Singh and his family. “If you experience any such issues within your schools, please get in touch with us. “On behalf of Sikhs in Australia, and in Victoria in particular, we are very pleased that VCAT has upheld religious freedom in schools. Sidhak's parents, Sagardeep Singh Arora and Anureet Kaur Arora, tried to enrol their son at the school in 2016 because it was close to home and where Sidhak's cousins studied. The Victorian Equal Opportunity and Human Rights Commission, which had intervened in the case, had said in a statement, "The Victorian Civil and Administrative Tribunal's decision in the Arora v Melton Christian College case was an important test for clarifying the exceptions in the Equal Opportunity Act 2010. This is the first time that these exceptions from discrimination have been considered in Victorian courts or tribunals." "I consider that MCC's uniform policy in so far as it prohibits head gear of a non-Christian faith, could be described as 'openly discriminatory," said VCAT member, J Grainger, in a 50-page judgment. You may read the full judgment here. "I was approached by UNITED SIKHS in January this year when they learnt that I did not have legal representation. They assisted me and arranged pro bono representation by Herbert Smith Freehills, a top law firm in Australia," Sidhak Singh's father, Sagardeep Singh, said after VCAT's ruling. The Victorian Civil Administrative Tribunal has ruled that Melton Christian School has breached the Equal Opportunity Act by discriminating against a five-year-old turban wearing boy, Sidhak Singh Arora. Sagardeep Singh Arora had earlier told SBS Punjabi that VCAT had ruled MCC has breached the state's Equal Opportunity Act by placing uniform conditions on his son’s enrolment. Video - The family of 5-year-old Sidhak Singh was fighting for what they call his right to study in a Christian school. The story that was first broadcast on SBS Punjabi triggered a nation-wide debate about the ‘right to education’ of children struggling with issues of ‘identity’ and ‘religious freedom’. For more news and updates, follow SBS Punjabi on Facebook and Twitter. A Melbourne tribunal has started hearings to decide if a school discriminated against a Sikh boy for wearing his patka - the youth version of a turban. Seven Sikh families from Victoria are upset after they were denied entry to schools because their children wear turbans. SBS Punjabi contacted Victorian Minister for Education and the Minister for Multicultural Affairs for their comments on this matter. International civil rights and humanitarian organization ‘UNITED SIKHS’ plans to provide legal representation to Sikh families affected due to the ‘school turban discrimination’ in Australia. After Melton resident Sagardeep Singh Arora, six more Victorian Sikh families have alleged that their children have been subject to discrimination during the school enrollments. A Sikh family from Melbourne has approached the Victorian Civil and Administrative Tribunal (VCAT) after a school allegedly refused to enrol their son because his turban doesn't align with the school's uniform policy.